Fill in the form below and receive our brochures. If you are looking for a high quality tiled conservatory roof then look no further. We have many years of experience and we are specialists in removing old conservatory roofs and replacing them with new, state of the art, lightweight tiled conservatory roof. 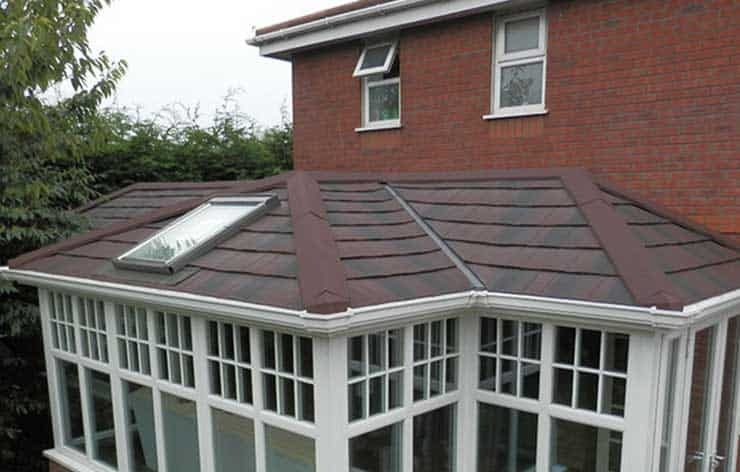 As a trusted SupaLite Tiled Roof Installer, we remove old conservatory roofs and replace them with lightweight tiled roofs, transforming them effectively into sun porches or orangeries. This means that they are warm in the winter as the heat loss is reduced. We currently supply our products and services to both the general public and trade industry. It is our aim to provide you with whatever you need. We can provide a wide range of different products and because our products are unique and very cost effective, you can rest assured that Sage Installations is the ideal company to use when you are in need of a new solid conservatory roof. Our friendly team are always on hand to offer guidance and assistance so please give us a call to find out what we can do for you. A solid conservatory roof replacement is available for both a Modern Conservatory and a Classic Conservatory. SupaLite gives a u-value of 0.18 (0.15 for the Scottish market) that meets total building regulations. An aluminium fully structural frame with integrated insulation provides a complete roof solution. All tiles have been tried and tested for many years in the most extreme weather conditions giving you total peace of mind. All roof components come with a 10 year guarantee as standard and a life expectancy of 60 years on all tiles. Sage Installations can travel all over Kent but work heavily in the Whitstable, Canterbury, Faversham, Herne Bay and Thanet areas. If you would like to know more, give us a call on 01227219462 or contact us. Garage conversion to expand lounge. 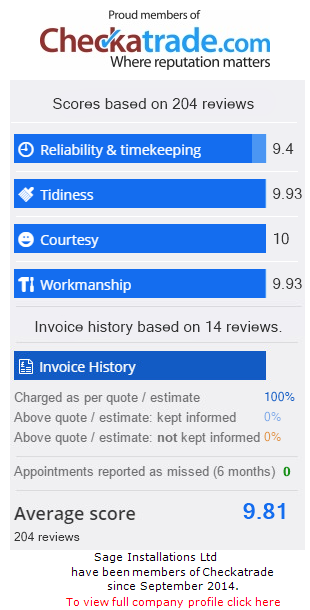 Looking for a price on a home improvement? No Problem! We offer FREE, No Obligations Quotes on any Windows, Doors, Conservatory or Roof Lantern jobs!